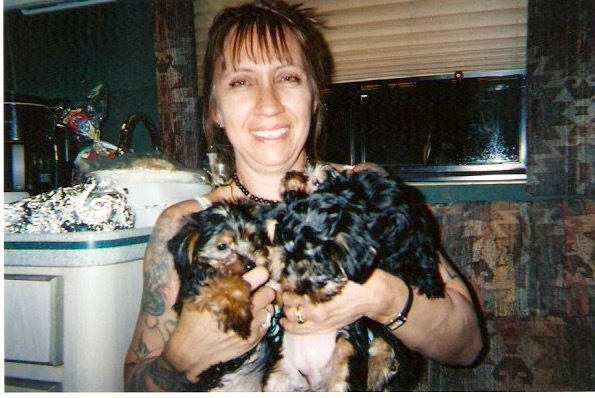 Growing Up Green : A FIRE EATER ON STAGE AND 3 PUPS BORN IN THE BUS!! A FIRE EATER ON STAGE AND 3 PUPS BORN IN THE BUS!! 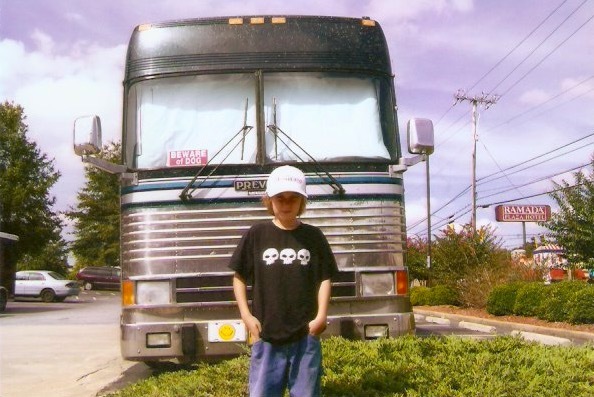 In 2004, Max and I decided to get a family bus on the US tour. It was a run right before school started and the kids were hyped to go. 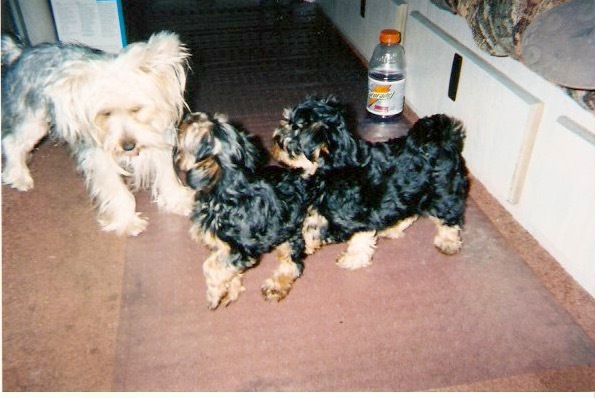 We decided to take our newly pregnant Silkie Terrier, Sofia, and her rambunctious boyfriend, Spanky, with us. Moses and Christina were also with us. One big family...... We had taken Sofy to the vet and he assured us there was no way she would give birth before we got home. 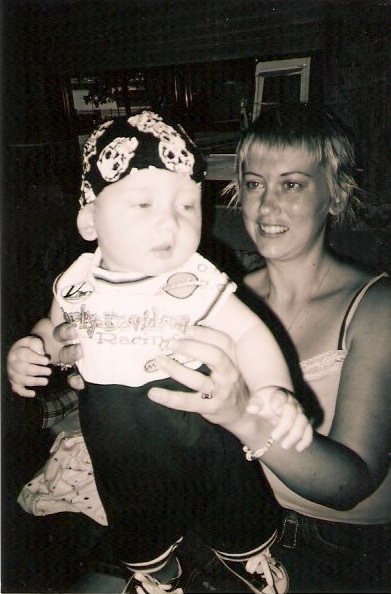 The first gig was Las Vegas, only a short run from Phoenix. Early in the morning, I was awaken by Sofy squealing nervously next to me. I turned my head to the left and next to my ear was a tiny, black, 4 inch long, shiny furball! It took me a second to register...I let out a call to Roxanne, in the bunk right past our room. Like a bolt of lightening, she unzipped a bag and out popped a huge leopard designed St Bernard bed! WTF? I guess she scored an A on disaster planning! Two more furballs made their entrance, and we were springing into action. We could see Sofia was trying to keep Spanky away, so we hooked her up with a private area in a lower bunk, and confined Spanky to the front room. I admit he gnawed at a few visitors and barked like he was a watchdog! It took quite a bit of action to get through this first few days, until we got a routine down. 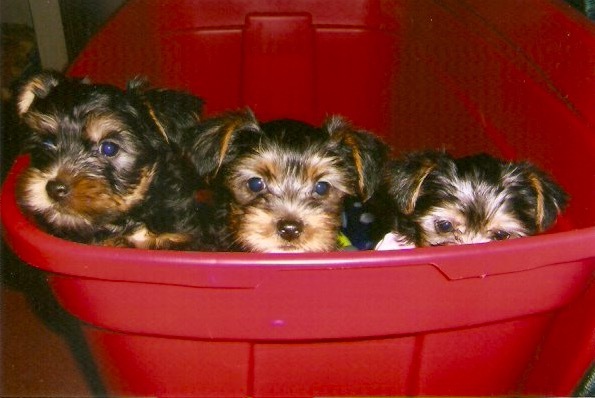 When the dogs got a bit bigger, we got a plastic tub and kept them in the front lounge. Spanky was hiding and lurking around because Sofia was keeping her eye on him as much as she was watching her babies. 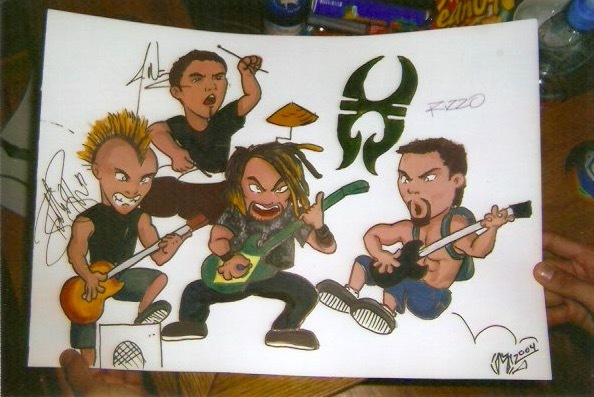 These were the early days of Chunk, Rick James and Ciquita, sharing their newfound existence with Marc Rizzo joining Soulfly. He was still ninja kicking with his backpack full of mojo! 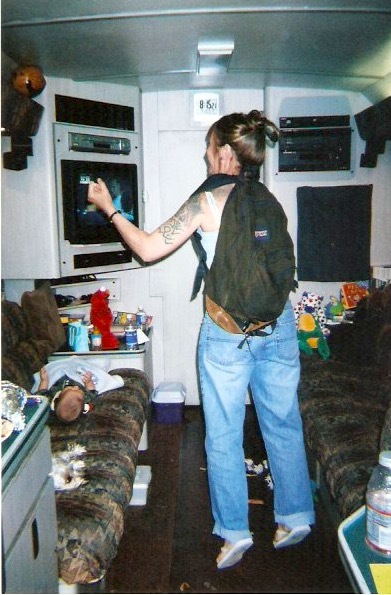 I admit, I snuck it on once, and rocked some air guitar in the bus! 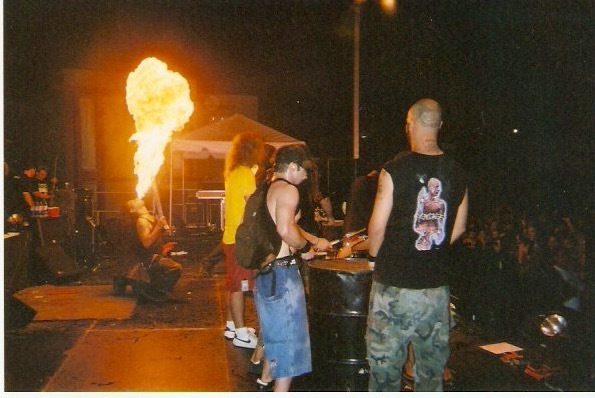 Right after the fire eater spewed his gas fueled flames in the air on stage! Tour life! LIVE FOR TODAY!!! LET'S GO TO A WEDDING PARTY! !